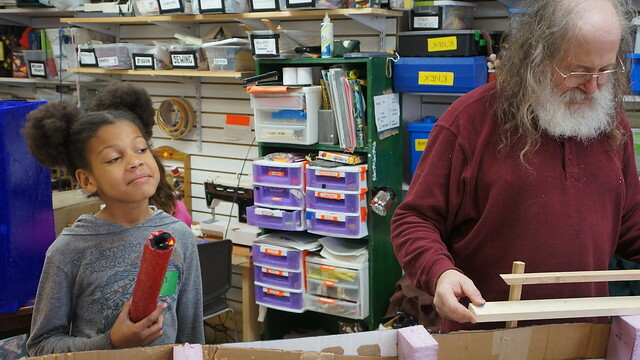 Creating a racing sculpture at Parts and Crafts: Click on the image to start the slideshow. 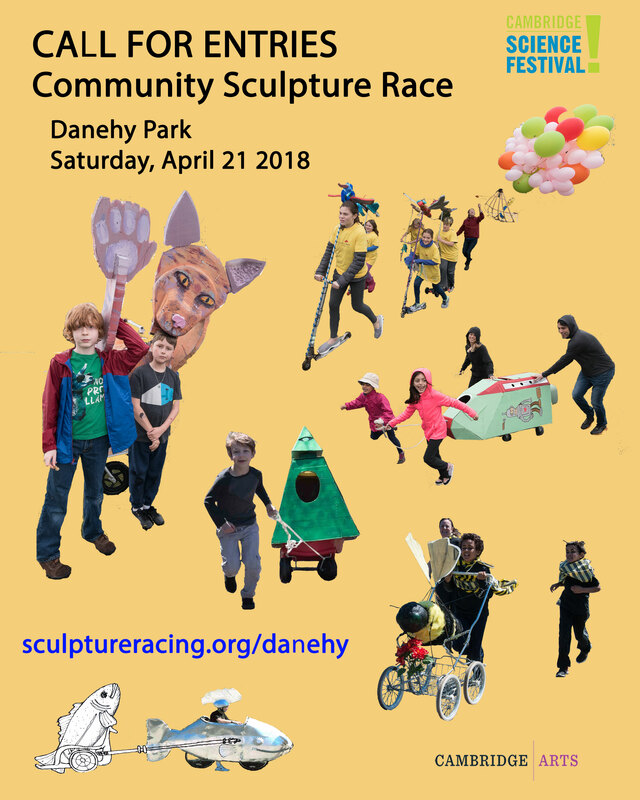 Kids built and raced Flashbulb of Destiny Captained by Jaral HALsen at the April 23rd Community Sculpture Race at Danehy Park. PSR Chief Engineer Jeff DelPapa led the camp. Images by C. Herold.